The UHUK committee members wish that this message finds you well in this joyful season! With the end of 2015 near, it is a good time to review what was achieved by our small team of motivated volunteers this year. Our new website was released at the end of January, the French version is about to be published. 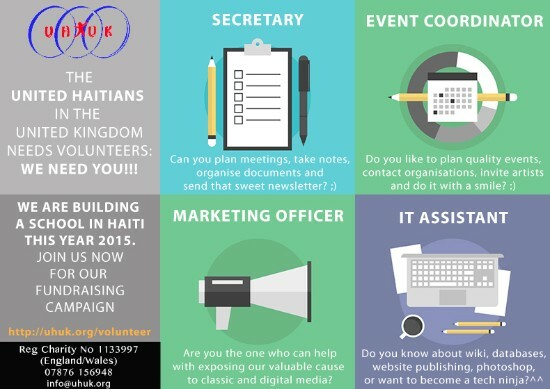 August-November, this time has been dedicated to obtain three different quotes from contractors in Haiti which is a requirement of the Charity commission in the UK. 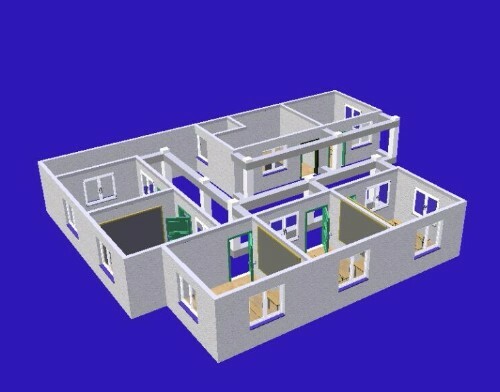 Although it was a slow process, this was achieved at the end of November and we are in the process of taking a decision and adding final touches to the contract before launching our fundraising campaign (the following picture is one of the quotes and is shown solely as an example, it might not be the final choice). 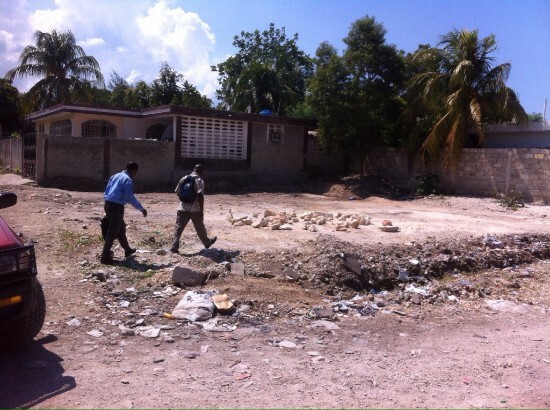 November, our PR officer Elizabeth went to the Ahadepa school in Haiti to meet the students and the staff as well as the new purchased piece of land where we will build the new school. 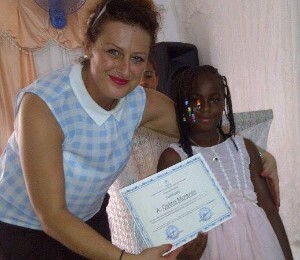 She was amazed by the dedication of the school director and staff as well as the great spirit of the students. – the learning conditions with the unbearable heat under the classroom tents and the lack of supplies such as shoes for some students. UHUK main priority is to build the new school and is discussing reliable ways to send school supplies and gift packages to students. – the attendance of the school decreased by 30% due to the introduction of fees due to running expenses such as paying teacher’s salaries. UHUK decided to pay the school fees for 3months while preparing a sponsorship program. December 12th, Come enjoy a coffee and a sweet treat at our “Cafe et Pain” Haitian brunch to support children’s education in Haiti with your gift this festive season. Bring a friend! 2016 should be a decisive year for UHUK and the Ahadepa school, our main focus will be to start a fundraising campaign to build the school. 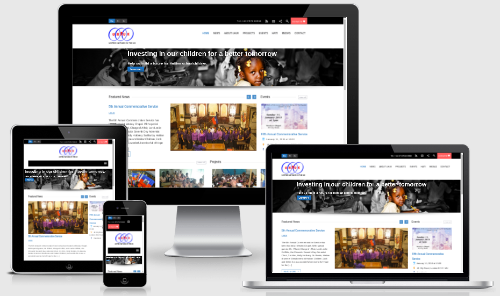 Various projects and events will be launched including a crowdfunding campaign. More details to come in our next newsletter in January. Sunday January 10th, 2016 Commemorative Service at 3pm­-6pm. Ladbroke Station 10min walk from station. 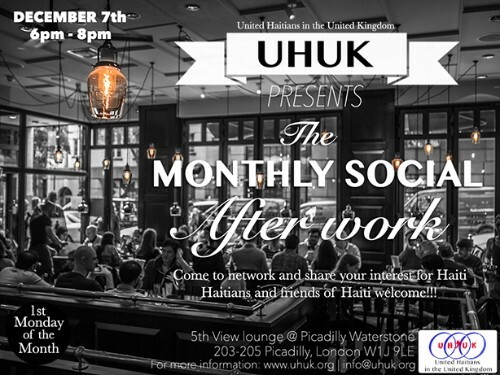 Monthly Social After-work, every first Monday of the month. Location: Can change so check our website and social media profiles. Thank you again for your support and participation over the past years, we are wishing you a very happy festive season!!! 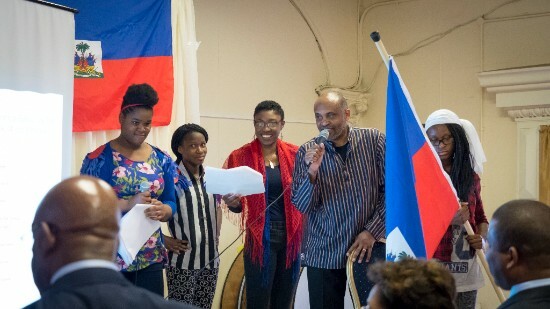 Our main goals are, firstly to make a positive contribution in the development of Haiti and, secondly, to keep the Haitian culture alive in the United Kingdom. 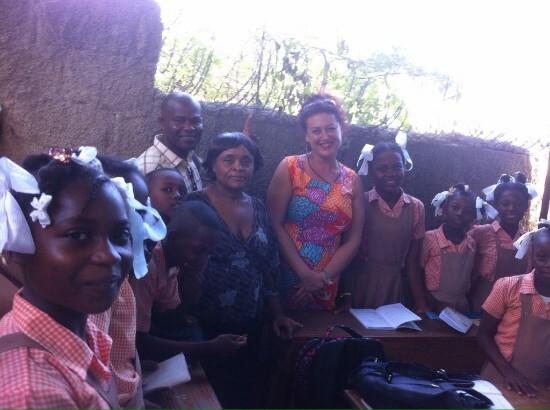 We will financially support carefully selected community educational projects throughout Haiti, with an emphasis on children's school fees, uniforms and supplies.